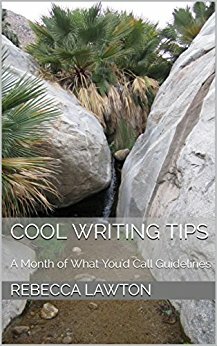 ALL FIFTEEN STORIES IN THIS COLLECTION ARE LINKED BY WATER. In fast-moving waters, the characters find solace from their painful pasts and fight to save that which is most endangered. Rivers, oceans, and ephemeral washes are not only settings, they’re vessels for our most beloved element in all its liquid beauty, strength, and potential for violence. 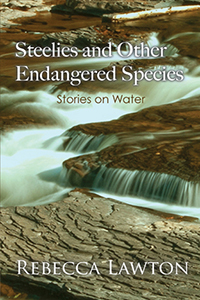 Steelies and Other Endangered Species: Stories on Water is an unforgettable journey on water by an author who knows it from the inside out, having guided on it, swum and sailed it, rowed and paddled it, and written about it for decades. Her fluid prose flows like her beloved river, in majestic sweeps, in roiling rapids, and in clear running pools where the surreal depth becomes within reach. Simply one of the best collections I’ve read in years. Lawton’s beautifully rendered and accessible stories make you want to move quickly from beginning to end, but I urge you—savor the journey. Breathe in the spirit of each new place. Lawton enchants the reader with emotional honesty and an intensity that infuses her stories with the beauty of the natural world.